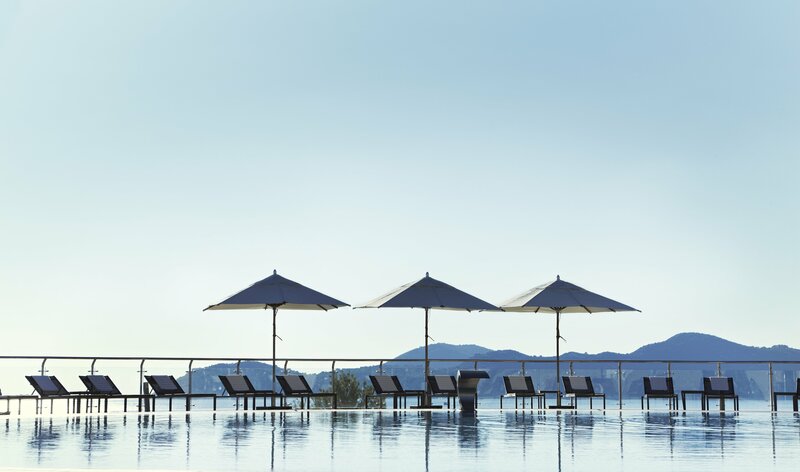 Famous hospitality group The Leading Hotels of the World has introduced eight new gems to its hotel collection around the world, expanding to over 375 luxury hotels and leaving us lost for choice! Each new property has its own authentic and vibrant identity, adapted to the location in which it is found. From Dubrovnik‘s joyful color palette or the lush green Catalonian countryside, to an elegant chateau-like property in São Paulo and snow-capped peaks of Courchevel, here are some of our favorite Leading Hotels of the World destinations of the moment, and their uncommon, must-try experiences. Planning to escape the heat and relax for a few days? Where you will end is only a reservation away! 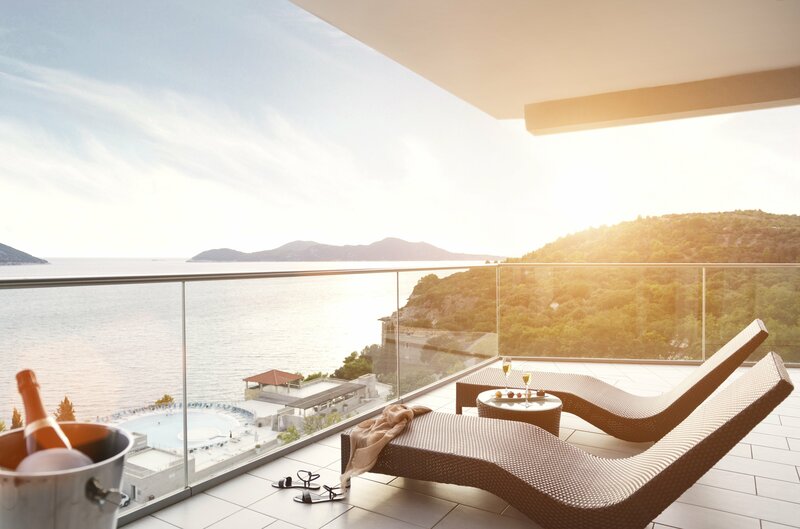 A modern, beachfront luxury resort perched over the Dalmatian Coast, the elegant yet understated Sun Gardens Dubrovnik offers supreme comfort and a friendly atmosphere. Located in Orašac, seven miles from the UNESCO World Heritage City of Dubrovnik Old Town, Sun Gardens features 177 hotel guest rooms with amazing views of the sea from a private terrace or balcony, and 231 one, two or three-bedroom fully-appointed suites and residences, for families or large groups. Surrounded by extraordinary Mediterranean gardens, the resort offers a large variety of facilities including: a private beach, three freshwater pools, a world-class spa, sports center, retail shopping area, conference facilities and a broad range of gastronomic offerings in 16 restaurants and bars. It’s safe to say, Sun Gardens Dubrovnik is almost a small town of its own. Uncommon must-try experience: An ideal setting for travelers looking to enjoy the outdoors: rent bicycles from the resort’s sports center and ride around the Old Town -hey, you’ll tan without even working on it!, or cruise the stunning Elaphite Archipelago. We also recommend a fresh fruit plate and a glass of bubbly on a suite terrace at sunset. About an hour away from Barcelona, Hotel Camiral is set in the beautiful Catalonian countryside, and is hugged all around by two award-winning championship golf courses, making a dream vacation for avid golfers. Designed by the internationally renowned Spanish interior designer Lázaro Rosa-Violán, Hotel Camiral is a combination of contemporary architecture, urban-chic interiors and retro-inspired elements. Green, blue, white and various wood colors dominate the generous spaces. Being within easy reach of the Costa Brava beaches and the historic town of Girona, the hotel is the ideal location for sports enthusiasts, culture lovers, foodies, adventure seekers and their families. 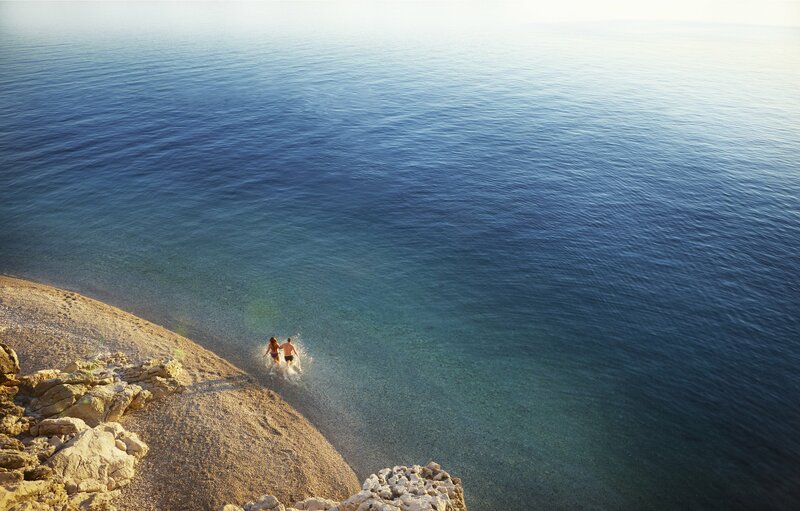 Activities on offer range from sky diving over Empordá to snorkeling in Costa Brava. Dining options include a mix of Mediterranean and international cuisines with a focus on Catalán specialties, created from locally sourced produce and paired with regional wines. 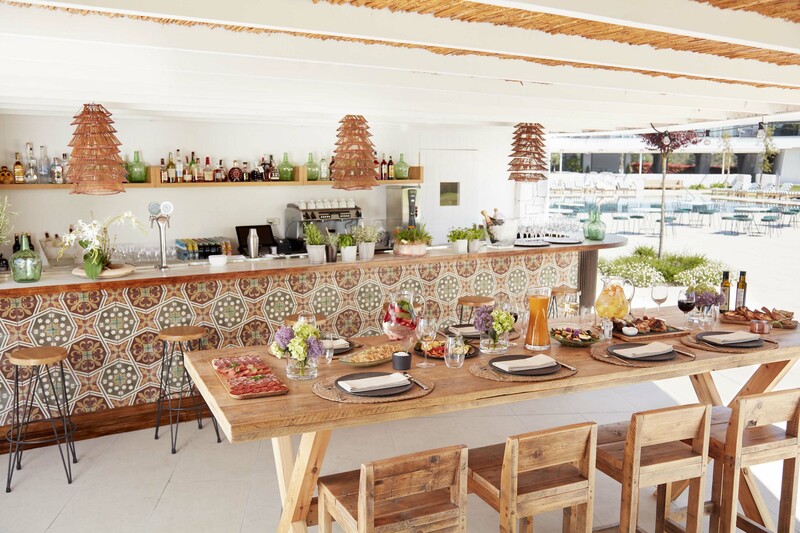 We especially love the very “woody” pool bar picnic table which screams for sharing tapas! Uncommon must-try experience: If you’re a proper golfer, then you’ll definitely feel like a Tour Pro by playing on one of Europe’s most famous courses, PGA Catalunya Resort’s Stadium Course. Or if you’re a beginner, intrigued by the calm sport -way too slow for us!- learn how to best approach each hole with resident experts. And while you do that, we’ll be sipping on sangrias by the pool! 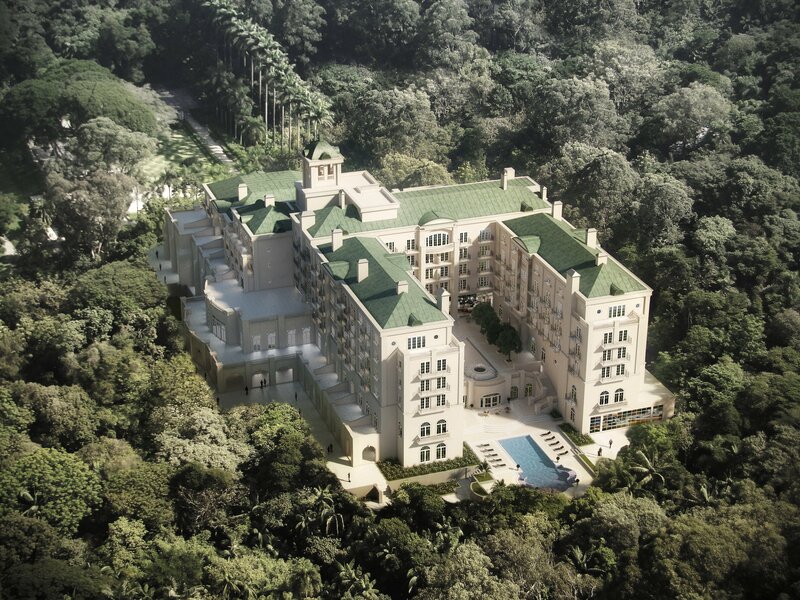 Nestled at the heart of São Paulo by a prolific tropical park and located in the exceptional, very desirable Panamby Morumbi neighborhood, Palácio Tangará is not what you’d expect to see in Brazil. The hotel looks like a modern chateau on the outside, with European-style interior design. Its green rooftops complement the surrounding abundant greenery nicely. Its 82 spacious guest rooms and 59 suites almost all overlook the rich flora and fauna of Burle Marx Park, home to a wide variety of rare tropical birds, butterflies and flora. The upside is that the property just started welcoming guests this June, so you can be among the first to experience it, while everything is still spick and span! Outstanding dining experiences led by famous chef-restaurateur Jean-Georges Vongerichten include signature Restaurant Tangará Jean-Georges, a chef’s table and a bar, along with a wine cellar. The hotel boasts state-of-the-art recreational facilities including the Spa by Sisley Paris, heated indoor and outdoor pools and a kids’ club. Uncommon must-try experience: Marvel at stunning views of Burle Marx Park right from the comfort of the hotel: while enjoying fine dining on your private terrace or by lounging by the pool. If you feel a bit more adventurous, we’d suggest asking the hotel to arrange a visit of the park. If sea, sun and greenery don’t sound like the most appealing combination right now, how about going for a different decor? Sun and mountains! 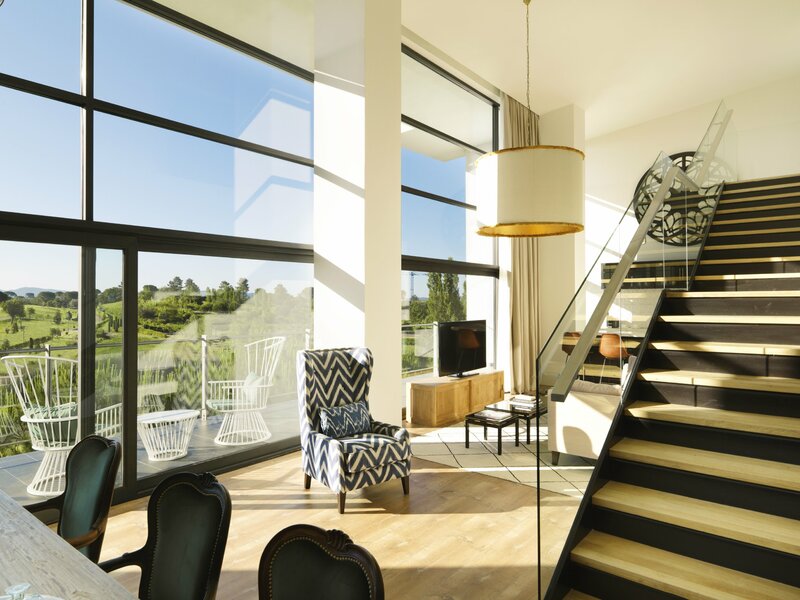 Situated in an intimate village at the base of the French Alps, the exclusive Le K2 Altitude offers a more “exclusive”, personal approach to vacationing. The property is composed of eight luxurious, interconnected lavish chalets, adding up to 14 rooms and 18 suites, each unique in its own right. 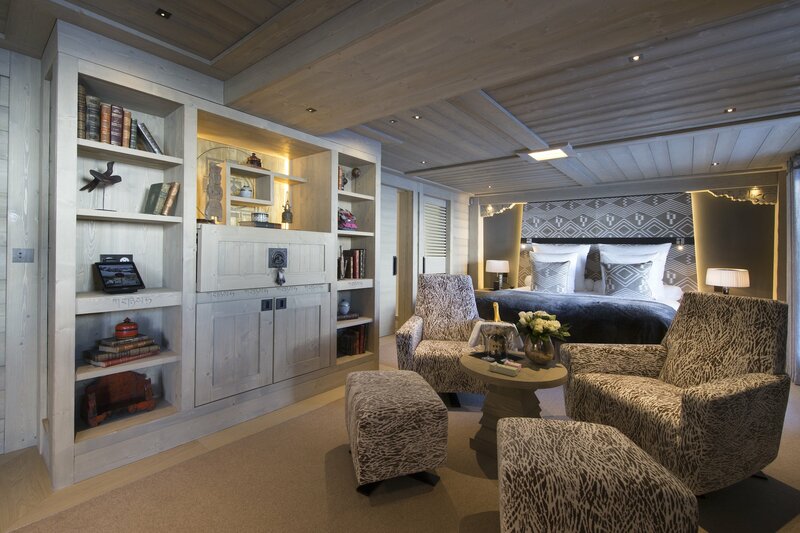 The interiors are well crafted, and furnished with curated, handcrafted pieces from Italy, Portugal and Spain. Don’t let the “chalet” aspect fool you. This chalet-hotel is as luxurious as it comes, especially when it comes to food: it is host to a two-Michelin star restaurant, Le Montgomerie, which exclusively serves Gatien Demczyna and pastry chef Sébastien Vauxion’s finest creations! 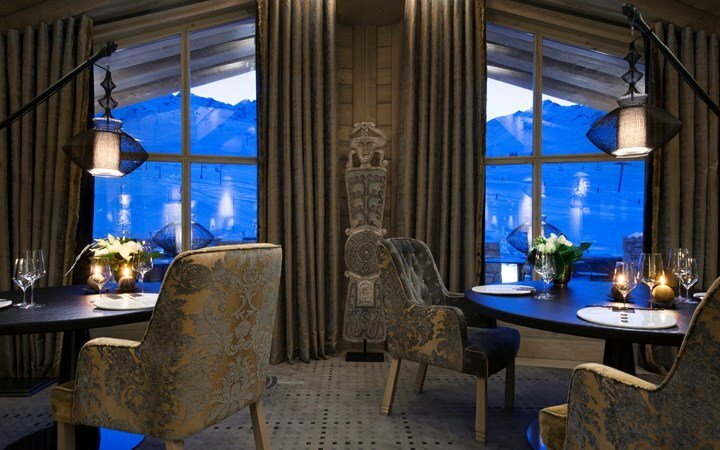 Other dining options include Italian and Mediterranean inspired cuisine La Cima, Base Kamp with its fire pit at the foot of the Pralong piste, Bar Lounge Le 1856 for drinks and a snack, and Le Churchill Klub, the hotel’s private lounge for spirits and cigar aficionados -yes, that’s us! Le K2 Altitude also thinks about your body’s wellbeing through the Spa and its wide range of La Prairie treatments. Uncommon must-try experience: Other than winter experiences such as heli-skiing or braving the Pralong slopes at Les Trois Vallées, the largest ski area in the world, the non-skiing season offers adrenaline pumping activities such as Aerobatic Flying with an authentic aerobatic pilot. You should also try hiking up to the highest summit in Courchevel, at 2738m above sea level, for a breathtaking view over the valley. Note: Feature’s cover image: a view of Sun Gardens Dubrovnik, Croatia.